Plum Curculio (PC): Cool temperatures have kept the lid on migrating populations of PC over the past two weeks, delaying and or reducing oviposition of fruit in many locations in the Hudson Valley. Since petal fall on the 8th of May and the first sting from PC on fruit on May 15th, we are more then two weeks out with only 10% PC injury in our untreated Ginger Gold in a heavily infested corner of our research orchard in plots along hedge row and woodlands. In most years we would be looking at 50% injury by now. Many growers have commented on similar observations this week. An interesting article in Science (May 12, 2017) titled Where have all the insects gone? suggests a dramatic decline in insect biomass points to an overall decrease in world wide populations of insects. This phenomenon may play a part in this conversation … but for now, we’ll focus on the impact of weather on the low levels of insects in the orchards we have seen to date. PC activity is highly dependent upon temperature. We have only had three consecutive days in which the mean temperatures have been above 60F, the temperature at which PC begins migration to orchards. Since PC usually do not feed or oviposit when night temperatures fall below 50F, the 5 nights above 50F we’ve had to date did provide opportunity for some feeding that are reflected in low sting numbers in fruit to date. If the weather is extremely warm after petal fall, the oviposition cycle may be completed in 2 weeks. However, in cooler seasons as we are presently experiencing, PC may continue to oviposit for 4-6 weeks. If this trend holds we will be looking at the end of migration and oviposition in early June. The model used to calculate the end of PC emergence begins at 95% petal fall of McIntosh. 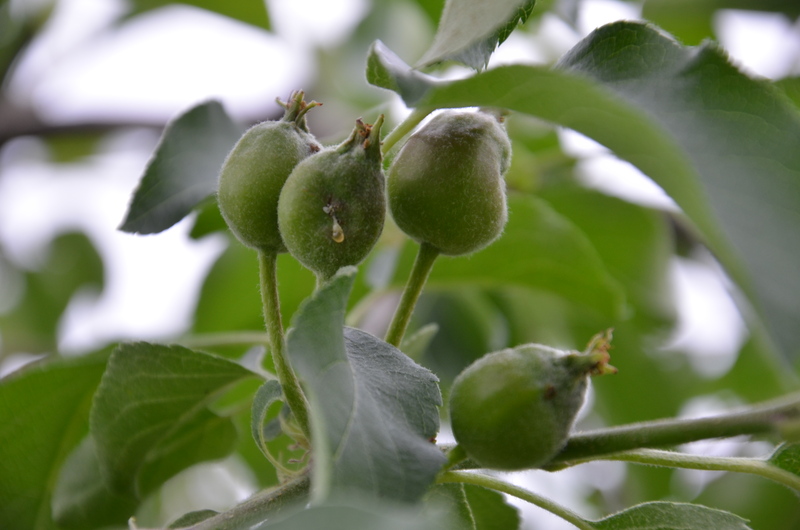 The majority of eggs deposited into fruit by overwintering plum curculio in the Northeast is completed in apples once 308 DD base 50 has been reached. 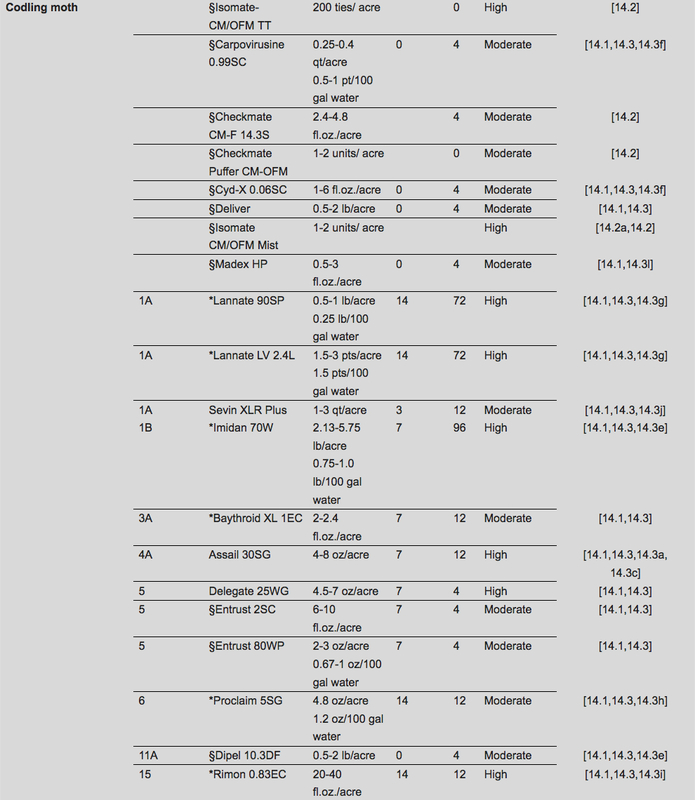 (developed in studies conducted by by W. H. Reissig, J.P. Nyrop, and R. Straub (Environmental Entomology; 1053-1060; 1998; titled “Oviposition Model for Timing Insecticide Applications Against Plum Curculio (Coleoptera:Curculionidae) in New York State”). 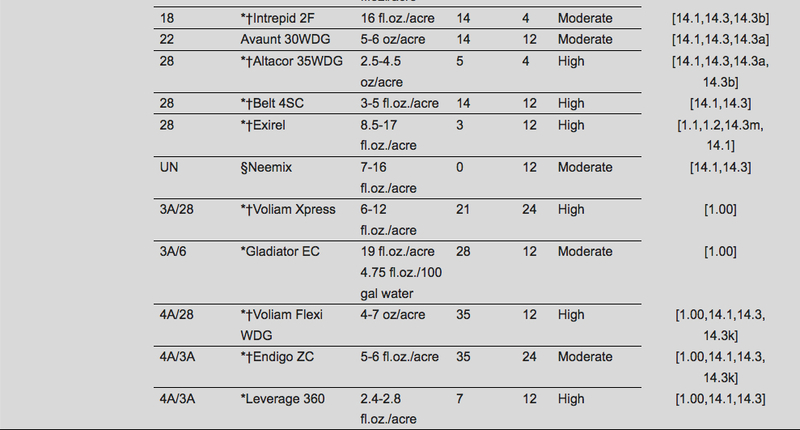 I would recommend maintaining residual protection from the high rate of an effective insecticide for PC. Take note that residual activity is no longer effective when 2 inches of cumulative rain occurs within the first 10 days after application, 1.5 inches of cumulative rain occurring from 10-14 days after application, or 14 days has passed since the previous application with no rain event. Rains today and tomorrow will significantly impact residual with 0.75″ having fallen over the past 8 hours and 0.5″ predicted for the next 24 hours. If your next application is applied over the next few days, consideration should be made for the new big pest, the codling moth. Codling moth: The Tortricid complex of Red Banded Leaf Roller (RBLR), Oriental Fruit Moth (OFM), Lesser Apple Worm (LAW) and Codling Moth are now in flight with the Obliquebanded Leafroller (OBLR) still in pupation. 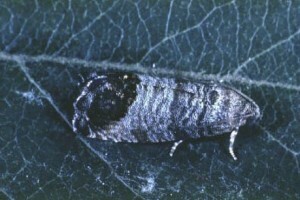 The most import of the internal lepidopteran being codling moth, has taken flight as of May 12th in Highland. To date we have accumulated 157.0 degree days for the CM model using 220DD accumulated degree days (base 50°F) to forecast larval emergence. We are predicting 1st CM larva emergence to be on the 31st of May this season. Of all the complaints I’ve heard over the past 8 months, the loss of sound fruit at pack out appears to be from codling moth. Over the past few years we have seen a rise in CM numbers in traps and in orchard infestations, culminating in 2016, in which the third generation emergence in September gave rise to very high losses.